Border Crossings: From Poetry to Memoir | Click here for details and registration. Writer, critic, teacher and poet, Yvonne Blomer was born in Zimbabwe, and came to Canada when she was two years old. With her husband she has taught in Japan, cycled through Southeast Asia, and lived in the UK, where she completed a Masters in Creative Writing with Distinction at The University of East Anglia. Yvonne is proud to be serving as the Poet Laureate for the city of Victoria, and is the Artistic Director emeritus of the Planet Earth Poetry reading series. 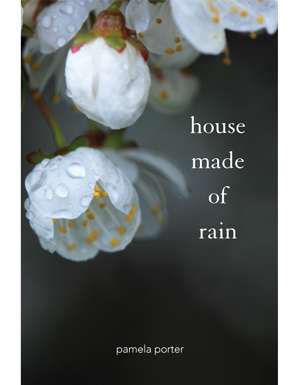 Yvonne’s most recent poetry collection is As if a Raven (Palimpsest Press,2014). She is currently accepting submissions for an anthology of poems to protect the Pacific Ocean which will come out with Caitlin Press in 2017 for details visit caitlin-press.com. Rachel Rose has won awards for her poetry, her fiction, and her non-fiction, including a 2014 and 2016 Pushcart Prize. 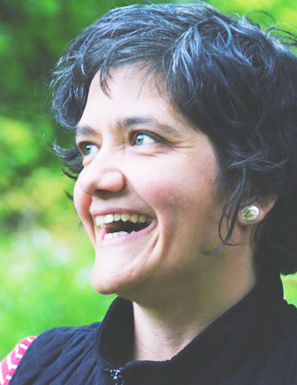 She is the Poet Laureate of Vancouver for 2014–2017. A chapbook, Thirteen Ways of Looking at CanLit, is forthcoming from BookThug, and a new collection, Marry & Burn, is forthcoming from Harbour. Recently a fellow at Iowa City’s International Writing Program, Rachel Rose is a dual American/Canadian citizen whose work has appeared in various journals in Canada, the U.S., New Zealand and Japan. Her second book, Notes of Arrival and Departure, was published by McClelland & Stewart in 2005. Winner of the Peterson Memorial Prize for poetry and the Bronwen Wallace Award for fiction, she holds a BA in English from McGill University and an MFA in Creative Writing from the University of British Columbia. She lives in Vancouver, BC. Tina Biello. Here’s the link to her website. Tina Biello grew up in a small logging town, Lake Cowichan, BC. She studied Theatre at UBC and now finds herself writing. Her poems have appeared in chapbook anthologies edited by Patrick Lane since 2008. Her chapbook, Momenti, published by Leaf Press has been composed into a CD of music called Dolci Momenti. Her first full length book, In the Bone Cracks of the Walls was published by Leaf Press in 2014 and was translated into Italian in 2015. She presented it in Italy at Molise Cinema in August of 2015. Her second full length book, A Housecoat Remains has just been released by Guernica Editions. David James Brock is a playwright, poet, and librettist whose plays and operas have been performed in cities across Canada, the US, and the UK. His debut poetry collection, Everyone is CO2, was released by Wolsak & Wynn in spring 2014. Brock is co-creator of Breath Cycle, a multimedia operatic song cycle developed with cystic fibrosis patients that was nominated for a 2014 Royal Philharmonic Society Award (UK). He lives in Toronto and is currently visiting to teach playwriting at the University of Victoria. Learn more about his work at www.davidjamesbrock.com. Patrick Lane has called Pamela Porter “a poet to be grateful for.” Her work has earned many accolades, including the inaugural Gwendolyn MacEwan Poetry Prize, the 2013 Malahat Review 50th Anniversary Poetry Prize, the Our Times Poetry Award for political poetry, the 2012 FreeFall Magazine Poetry Award, the 2011 Prism InternationalGrand Prize in Poetry, the 2010 Vallum Magazine Poem of the Year Award, as well as the CBC, Raymond Souster and Pat Lowther Award shortlists. Her novel in verse, The Crazy Man, won the 2005 Governor General's Award, the Canadian Library Association Book of the Year for Children Award, the TD Canadian Children's Literature Award, and other prizes. Both The Crazy Man and her 2011 novel, I’ll be Watching, are required reading in schools and colleges across Canada and the US. Pamela lives near Sidney, BC with her family and a menagerie of rescued horses, dogs, and cats. Frances Boyle is the author of Light-carved Passages (BuschekBooks 2014). Her poetry and short fiction have appeared in literary magazines and anthologies in Canada and the United States. She has received the Diana Brebner prize and first place in This Magazine's Great Canadian Literary Hunt, among other awards, and her chapbook, Portal Stones, won the Tree Reading Series chapbook contest. Born and raised on the prairies and now living in Ottawa, Frances spent the intervening years on the west coast and is always glad to return. She is part of Arc Poetry Magazine’s editorial team. This is your chance to feature your (favourite!) city in a poem. Planet Earth Poetry challenges you to list at least FIVE Victoria(n) places, objects, people and other delights in a poem 30 lines or less. Don’t worry, we've put together a Victorian List of things for you to choose from. You'll find it and all the rules on our Contests page. We’re putting together some prizes to tempt you. Stay tuned.